Jack Bauer can save the world, but who can save Jack Bauer? 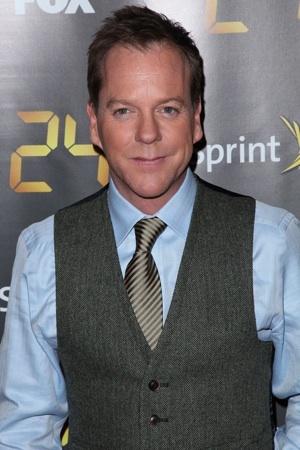 Kiefer Sutherland was set to reprise the character in a feature adaptation of Fox’s 24, but that’s over. The 24 movie is no more — for now. 20th Century Fox has pulled the plug on 24. The studio’s halted their plans for a big screen adaptation of the hit series that ran from 2001-2010. So what happened? Back in December, everything was on the up and up. Series star Kiefer Sutherland was on board and ready to begin filming sometime this spring. But the actor and Fox weren’t on the same page. There were rumors that the studio and Sutherland couldn’t agree on his salary or the film’s budget. Fox wanted to keep the cost within the $30 million range, while the producers (including Sutherland) were aiming for $45 million to $60 million. During pre-production, the film never nailed down a director, which is usually a top priority. Antoine Fuqua (Training Day) was rumored to spearhead the movie, but a deal never materialized. Prior to this announcement, Sutherland seemed genuinely excited about reviving Jack Bauer. He knew the film had a tough road ahead, but was eager to get started. Touch is Sutherland’s latest TV series, which airs tonight at 9 p.m. ET/PT on Fox. With 24 delayed another year, will it ever make it to theaters? We hope so. Jack Bauer’s still got some fight in him.